Marvel's Agents of SHIELD Season 4: Ghost Rider | Marvel's Agents of S.H.I.E.L.D. This fall, the Spirit of Vengeance will ignite on Marvel's Agents of S.H.I.E.L.D. 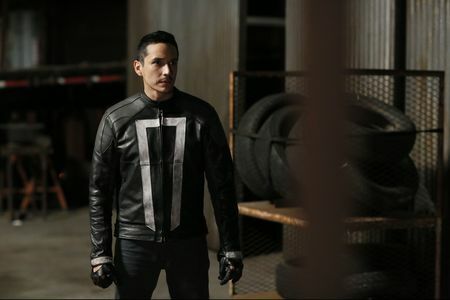 Here's a first look at Robbie Reyes, the latest incarnation of Ghost Rider, (played by True Detective and Matador actor Gabriel Luna). Ghost Rider will make his debut in Marvel's Agents of S.H.I.E.L.D. Season 4 Premiere "The Ghost" on TUESDAY, SEPTEMBER 20 at 10|9c, and S.H.I.E.L.D. will never be the same. After putting an end to the Hydra organization at the end of Season 3 and in light of the Sokovia Accords, S.H.I.E.L.D. has been legitimatized again and no longer needs to operate in the shadows. Since the world presumes that Coulson is dead, the organization needed a new Director to be the face of the organization. 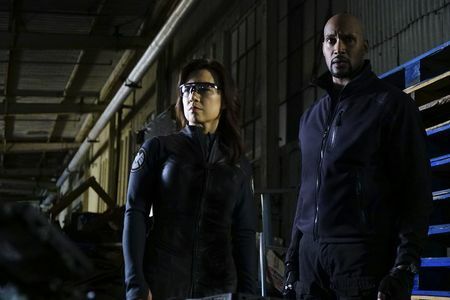 Coulson finds himself back in the role as an agent and teamed with Mack, and together they are tasked with tracking down and confirming the presence of Enhanced people, aka Inhumans. Agent May is tasked with training specialist strike teams, and Fitz and Simmons have taken a big step forward in their relationship.